All 1 hour discovery flight pilots will receive an official About Time Aviation baseball hat! 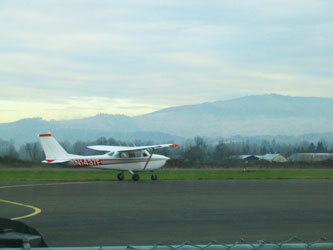 "About Time Aviation is a great place to learn how to fly or take a Discovery Flight. I bought my husband a Discovery Flight for Father's Day and Jess (the instructor) was so friendly. He made it a great experience for my husband, my son and his friend. They flew over a couple lakes and Autzen Stadium. They said it was so much fun they wanted to go again. " Not sure flying is for you? 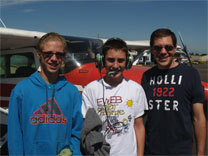 Sign up for a Discovery Flight and experience what it will be like to get in the air as a student-pilot. As with all our lessons, your instructor will tailor this short first flight to meet your goals – whether that's just seeing if you like the experience of flying a small plane or taking your first step on the path to becoming a Professional Airshow pilot. Discovery Flights make great gifts for loved ones who have expressed an interest in aviation and want to learn more about flying. Discovery Flights include a brief ground school education (a quick lesson before we get in the air – given on the ground, get it?) 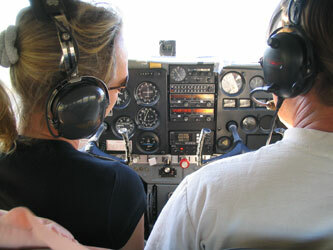 and a review of the flight controls while in the cockpit. 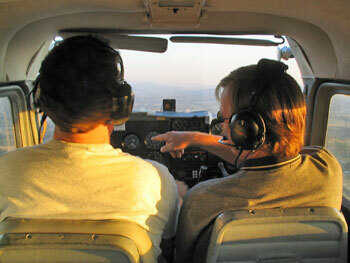 You will start the engine, taxi to the runway, take off, fly around the area and land under your instructor's supervision. Excited yet? You should be - it's FUN TO FLY!! !